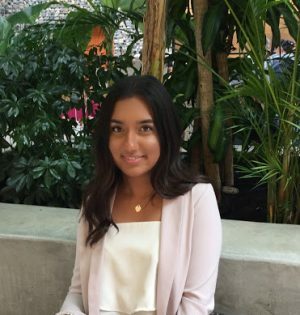 Aanchal Singha is a UBC student majoring in Political Science and minoring in Law and Society. An alumnus of the CIS 2017-18 cohort, Aanchal shares her experience with the CIS program. When being admitted into BCCA Co-ops In School’s mentorship program, I had no idea what I was getting myself into. I never knew what a co-operative was, and definitely did not think I’d be paired with a professional who had such similar academic and professional interests as me. Having a mentor in an area that was a potential career path, allowed me to gain knowledge and insight within future fields of interest. My mentor provided me with the experiences (shadowing), advice, network, and tools to go forward and help with my transition from university to the professional world. Although, the program is 4-months long, the relationship you foster with your mentor can be one that lasts a lifetime. I began the program January of 2018, and continue to meet with my mentor every few months to seek professional advice and knowledge. Before this program, the idea of incorporating co-operatives into my everyday life was non-existent. However, after completing the program and learning about all the co-operative related opportunities in my field of interest, business, I would love to work alongside a credit union in the future. For anyone that is considering the program, I highly recommend it as the experience I gained was valuable and will remain with me through life! Aanchal is currently a Fourth Year UBC student majoring in Political Science and minoring in Law and Society.